World Oral Health Day: Oral hygiene is described as the practice of keeping one's mouth clean and free of diseases and other health problems. World Oral Health Day is celebrated every year on 20th March. The day is aimed to promote awareness around healthy mouth and oral hygiene. This year the theme for World Oral Health day happened to be , 'Say Aah: Think Mouth, Think Health'. Oral hygiene is described as the practice of keeping one's mouth clean and free of diseases and other health problems. A healthy mouth is a lot more than just your pearly bright whites. The state of your gums, teeth and tongue together constitute your oral health. 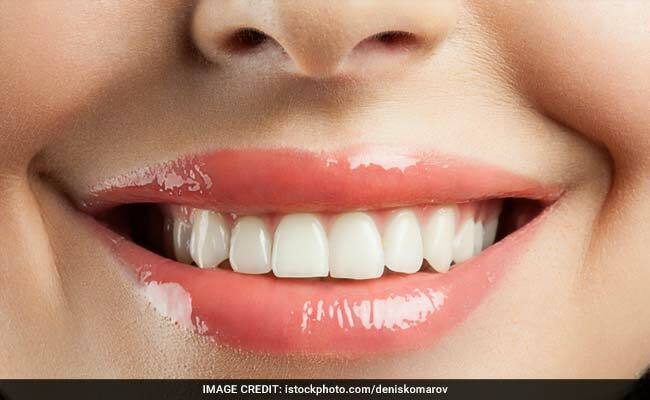 Shiny white teeth is everybody's dream, and a few healthy dietary tweaks can help you flaunt your perfect smile at all times without any hint of hesitation. Dr. Munish Bhagirath from Paramount Dental Care in Delhi, suggests, "I recommend foods that are fibrous and have more roughage that do not get stuck in your teeth causing further harm to your oral health. Avoid foods that are sugary and contain starch that become the sole reason for discoloration of teeth as they provide the ideal environment for the bacteria to thrive." Here are some foods that you must load up on for shiny white teeth. Apples are a great source of water and fiber that can help cleanse your dentures. It contains malic acid that boosts saliva production, hence removing bacteria from the mouth. Do not throw away the peels, the fibre in your apple is beneficial for your gums. Chewing crunchy and juicy carrots stimulate saliva production and helps neutralise the acids and enzymes in your mouth that cause harm to your enamel. Strawberry may do wonders maintain oral hygiene. It is said that the ascorbic acid in the fruit can actually help in providing a brightening effect. They are power-packed with polyphenols which inhibit bacterial growth. Nuts and seeds are slightly abrasive in texture and therefore, which help in removing plaque and stains from your teeth. Moreover, the essential oils they contain help in cleaning your teeth. The high amount of vitamin C found in oranges, berries and lemons help protect your mouth from bacterial infections. Here's wishing everyone a Happy World Oral Health Day 2018!